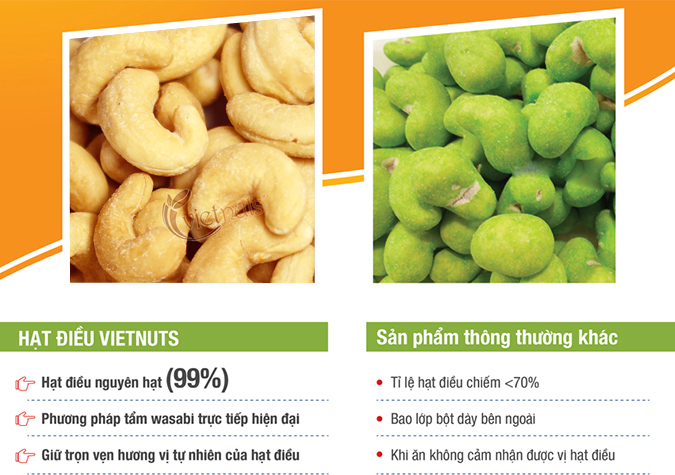 A white whole large cashew nuts WW320 (exporting standards). 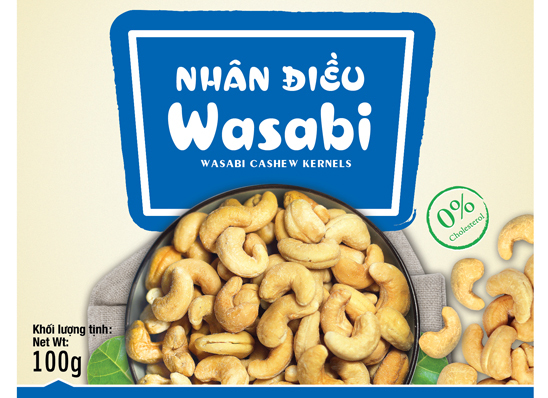 The great flavor of cashew is imbued with the special and delicious flavor of wasabi. 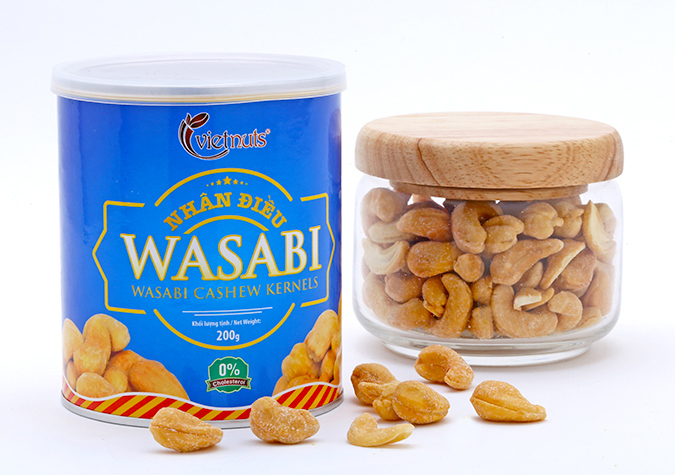 It is treated carefully under Food Safety Management System ISO 22000:2005 (Australia). 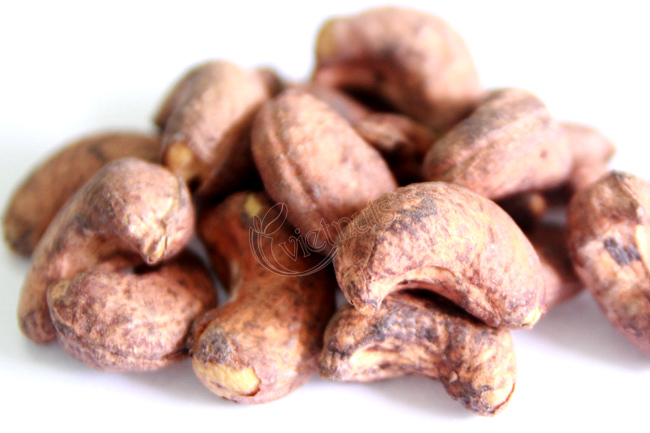 Do you know cashew is good for snack? 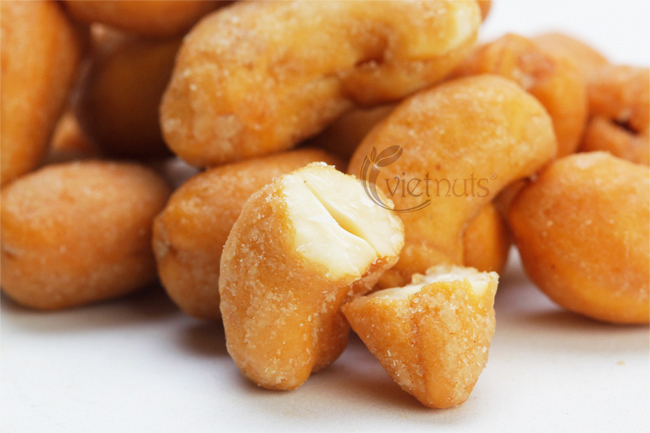 Cashew nuts contain lots of fibers, proteins, antioxidants and unsaturated fats, which are good for your heart. The amount of thiamine and magnesium are also essential for nurturing your brain by improving its memory and conscious function. 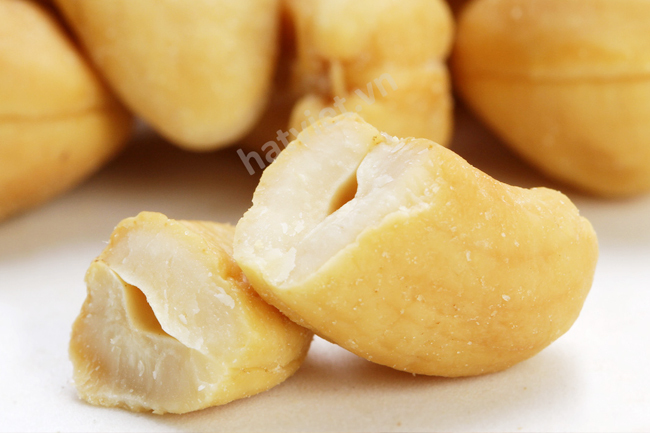 A sublime combination of roasted white whole cashew kernels with tenderly sweet honey coating. 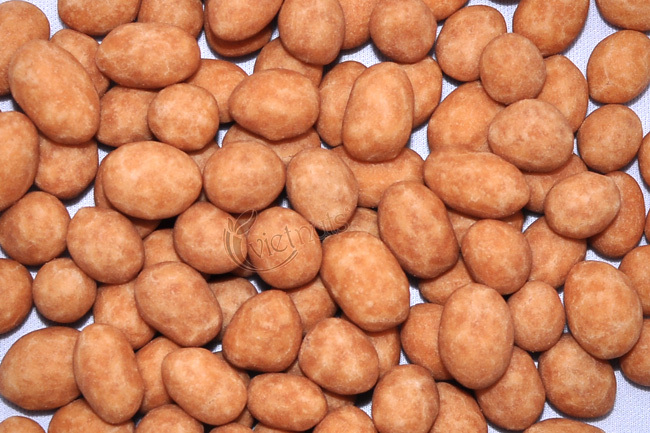 It’s crunchy, greasy and tasty under the golden brown color. A product of state-of-art roasting procedure, preserves all the natural flavor within.